No plans yet for Christmas? 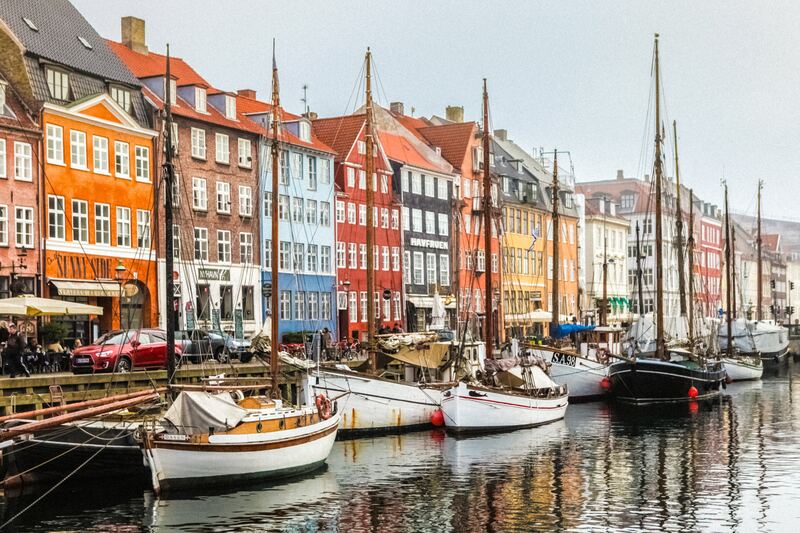 Have you been toying with the idea of booking a last-minute trip to spend the festive season abroad? 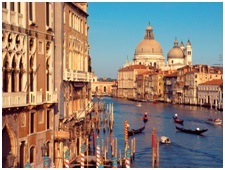 Our latest tourism blog showcases our top 5 recommended places to spend Christmas overseas. There’s nowhere more magical to spend the Christmas period than in Santa’s homeland itself, Lapland. 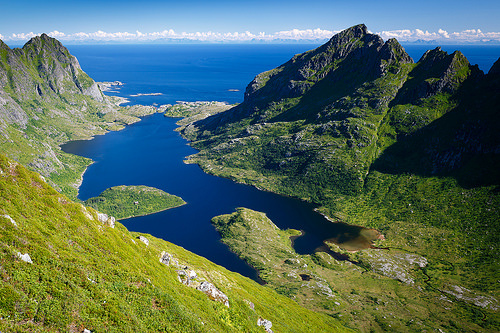 is situated in the north of Finland and is the perfect Christmassy location for all the family. For those with young family members, we thoroughly recommend visiting the Santa Claus Village amusement park, where you can have your photo taken with Father Christmas, visit his post office where all of the children’s letters go, and watch one of their magical Christmas shows. If you’re there for a few days, head to Levin Lapinkyla, a traditional farm where you can visit and pet reindeer. 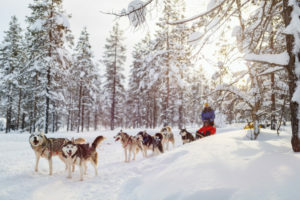 For those with older children or for couples, the husky-led sled rides and the reindeer sleigh rides are not to be missed. There are plenty of other activities too, such as cross country skiing, ice fishing and snowshoeing (hiking through the snow). In the evenings relax in the ice bar, or if you prefer something a little warmer, most of the log cabins you can stay in have private saunas and log fires. Germany is famous for its Christmas markets all over the country, which tend to start mid-November and run up to the 23rd or 24th December. 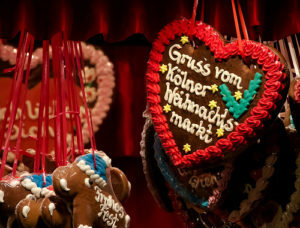 At each Christmas market, you’ll find hand-made gifts, which make perfect stocking fillers and you’ll be able to sample all of the traditional Christmas food and drink such as steaming Glühwein (mulled wine, fresh pretzels, tasty Currywurst and soft gingerbread. If you head to the markets in Cologne be sure to skate on the ice rink and take some time out for a relaxing river cruise along the Rhine. If you like theme parks why not also spend a day in Phantasialand, which is just a short drive away from the city? In Hamburg, Germany’s second largest city, be sure to stroll through Winterwald (Winter forest) market, which takes you back in time. If you fancy a trip to Nuremberg’s Christmas markets, which are held in the main square, why not also visit the city’s famous toy museum? If you love the hustle and bustle of very big cities, why not spend this Christmas in the Big Apple? The lavish Christmas displays in all of the shop windows on Fifth Avenue are a reason in themselves to make the trip. Macy’s goes all out each year and creates Santaland, which is a winter wonderland filled with toys, a large train set and of course, you can meet Santa. 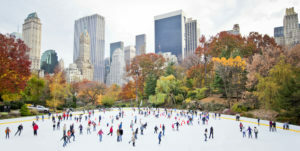 Other musts at this time of year are ice skating in Central Park, catching a glimpse of the enormous Christmas tree outside the Rockerfeller Centre, which is adorned with over 45,000 lights, and walking through the fabulous Christmas market in Union Square. Fans of live shows cannot miss the Radio City Christmas Spectacular performed by the Rockettes. The Rockettes are a dance company founded in St Louis who put on an incredible 90-minute performance 4-5 times a day over the Christmas period. Tchaikovsky’s famous Christmas-time ballet, The Nutcracker, is also performed every year by the New York City Ballet. Want to celebrate all of the usual Christmas traditions but without the cold weather? Despite the warmer climate, Christmas is very much celebrated throughout Brazil and has a carnival feel. As you walk through large public areas such as shopping centres in most big cities, you’ll see lots of presepios, which are nativity scenes celebrating the birth of Jesus. You’ll also see Christmas choirs dotted around the big cities. In São Paolo, for example, it’s traditional for choirs to gather in the streets and around all of the metro stations to spread Christmas cheer to shoppers and commuters. 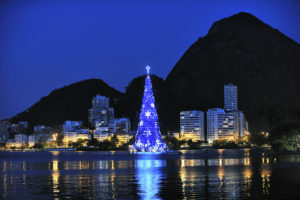 In Rio, seeing the huge Christmas tree in the middle of the Rodrigo de Freitas lagoon is a must. The lagoon is best known for hosting the rowing recently at the 2016 summer Olympics. You can view the enormous tree from all around the lagoon or you can get a small boat out to go see it, so you can enjoy the music blasted out from underneath it every half an hour. Natal Luz festival ‘Christmas of Lights’ in Gramado is just down the coast from Rio. The town of Gramado is transformed into a huge theme park where you can marvel at the grand Christmas parade, the spectacular fireworks show and the theatre production of the Fantastic Chocolate Factory. 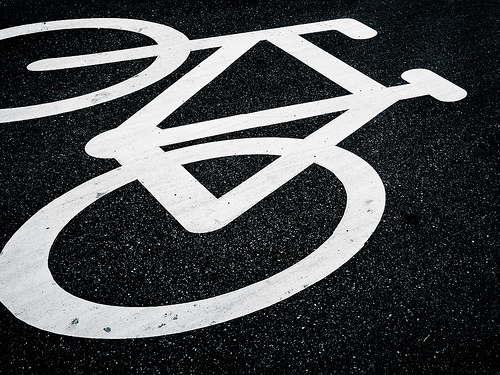 Looking for something completely different? A relaxing beach holiday perhaps? 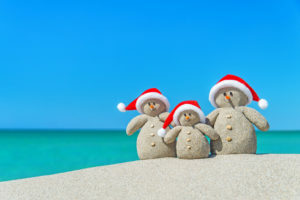 Christmas in Australia is celebrated during the middle of their summer, so it’s usually spent barbequing on the beach. There are still Christmas traditions such as carols by candlelight on Christmas Eve in Melbourne and Santa Claus brings presents for the children, although he uses kangaroos to pull his sleigh rather than reindeer. Christmas lunch is quite different to the one we have in the UK. Most families get together to have a cold turkey Christmas dinner and seafood is also a huge part of the affair. In fact, more than 120 tonnes of prawns are sold at Sydney fish market on Christmas Eve, so if you’re thinking of renting an apartment and cooking your own food, be prepared to queue! In Sydney, most people head to Bondi beach after their Christmas lunch and spend the rest of the day partying and relaxing. Then on Boxing Day, you can catch the start of the famous yacht race, which starts in Sydney and spans 630 nautical miles to Hobart in Tasmania.